Teacher: Karen Steinbrecher, karensteinbrecher@msn.com or 215-836-7184. Qigong literally means “energy work” and has been continuously practiced in China for thousands of years to achieve vibrant health and a calm mind. In the introductory Qigong classes offered through The Resiliency Center, you will learn basic, yet powerful Qigong exercises based on the movement of animals and birds (such as the crane, eagle, dragon, and swan), as well as movements to strengthen the bones and the immune system and to increase range of motion with the hips, shoulders, and the neck. Take time now to slow down, get in touch with your body, and become whole. Qigong [pronounced chee-gung] classes are offered weekly at The Resiliency Center. “Chi”[or Qi] means energy or breath. It is the source of life. Gong means moving the energy. 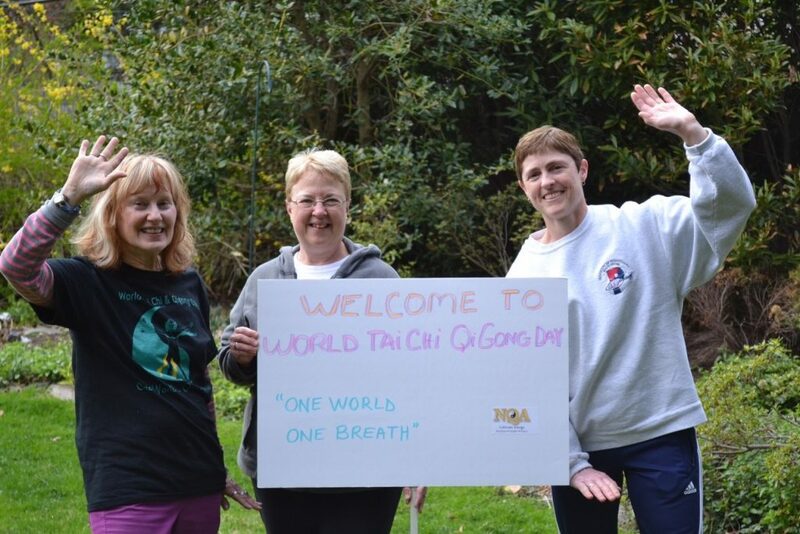 Qigong literally means “energy work” and has been continuously practiced in China for thousands of years to achieve vibrant health and a calm mind. Qigong is similar to Tai Chi in that it incorporates slow, meditative movements with deep abdominal breathing. Qigong consists of ‘separate’ standing exercises used for overall wellbeing, harmony, and improved health. Practitioners choose exercises that generally increase overall range of motion, improve flexibility, and create better balance. They can be done in any order for any length of time. Conversely, Tai Chi consists of standing Qigong moves linked together in a non-changing “choreography” that has gone unaltered for centuries.